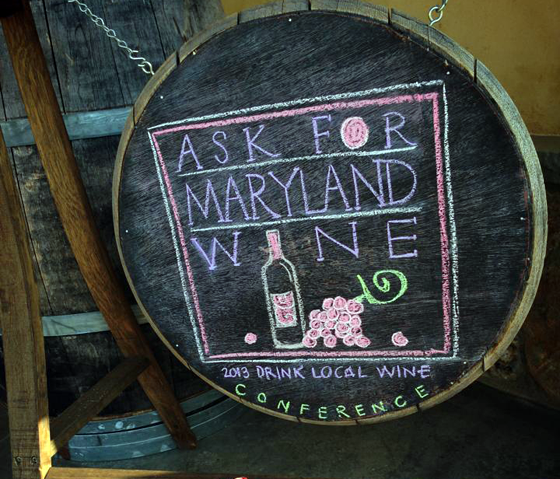 Questions about the pace of global climate change and its effect on viticulture have been frequent topics of conversations in vineyards and wineries around New York. A less talked about, and even less understood change also taking place with another force that has significance to the industry. 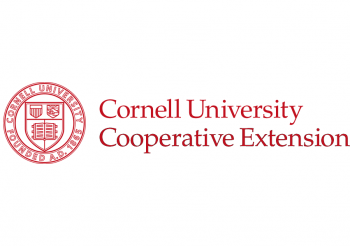 The Cornell Cooperative Extension is on a path of reorganization, that while still in the definition phases, might ultimately change the way that folks in the field interface with its services. The Cooperative Extension service of the USDA has for nearly 150 years followed a mission to “help people use research-based knowledge to improve their lives” in the areas of “agriculture and food, home and family, the environment, community economic development, and youth and 4-H.” The service is administered through a national network of Land Grant Institutions , founded with the help of Vermont Senator Justin Morrill. The institutions exist on a state by state basis, and in New York, Cornell University is the provider of support to thousands of agriculturalists through statewide and locally based efforts. 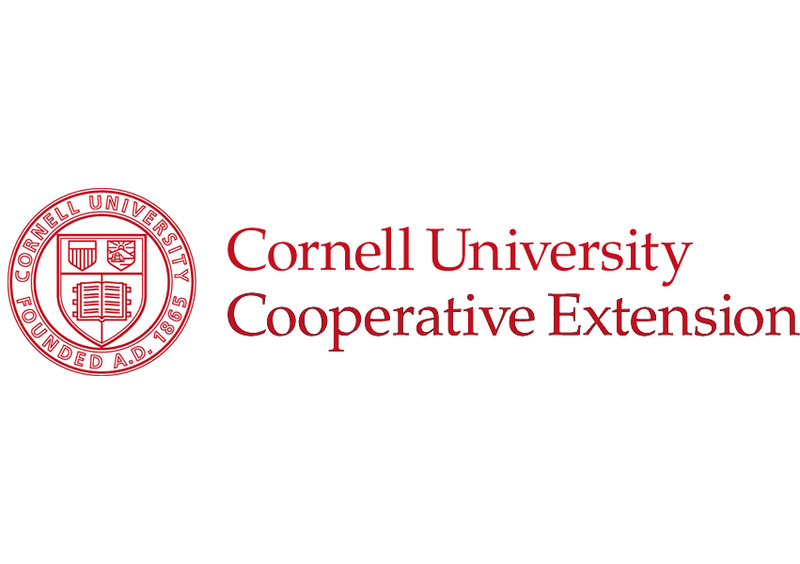 My own interactions with the Cornell Cooperative Extension (CCE) have been highly educational and extremely formative, specifically in the area of cold-hardy wine grape production. My first formal introduction was at a well coordinated workshop held at the Noblewood Park facility in Willsboro, NY, in 2008. I often have to remind myself that the CCE covers far more ground than what I’m exposed to, since the hybrid vine cultivar program is but part of the larger grape program, which exists inside the fruit arena along with tree and berry fruit. The fruit efforts furthermore exist with the province of an even wider fruit and vegetable program. Near the end of 2012, a major reorganization of the CCE structure was announced, and a new five year strategic plan will be implemented, including a restructuring of the service map from a county based organizational system and assembling the many field offices into larger regions by January of 2015. Reasons for this change include administrative efficiency, opportunity for interfacing with multi-state organizations, and the standardization of digital communication and information delivery. That’s a lot of high-level planning-speak, but what does it mean for those of us on the ground, who make use of CCE services? 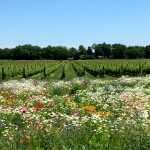 The intentions certainly sound good, we’ll have to see how the road is paved… I can at least share a view from where I stand in observance of these changes, from my vantage at the Baker Farm Vineyard Trial in Willsboro, NY. 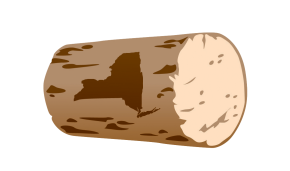 In brief, our northeastern New York county collection will be rolled into a new and much larger “Eastern New York Commercial Horticulture Program” which will include eastern NY counties from just north of NYC, right to the Canadian border. Our regional center will be a couple of hours south in the offices of the Capital District Vegetable & Small Fruit Program, and it remains to be seen if that will simply be a logistical consolidation or if that region’s process approach will be applied to extend far beyond the current borders. After so many quick trips on autopilot between the Hudson and Champlain Valleys, the trial vineyard feels strangely far way from Albany in this context. Kevin Iungerman is the Willsboro trial vineyard project founder, team leader, and a member of the Cornell Cooperative Extension staff, and he currently covers approximately 4700 square miles of Upstate NY, inclusive of Saratoga, Essex, Clinton, and Washington counties. 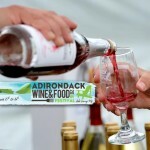 The production of apples takes up the majority of his time, and cold hardy viticulture is something that he managed to identify and pursue as a potential agricultural and value added industry for the north country of NY State. 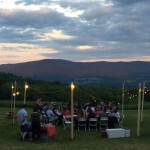 The trial vineyard is not only a horticultural experiment, but it is a wine culture incubator that has drawn interested parties from all around upstate NY and other northern regions. 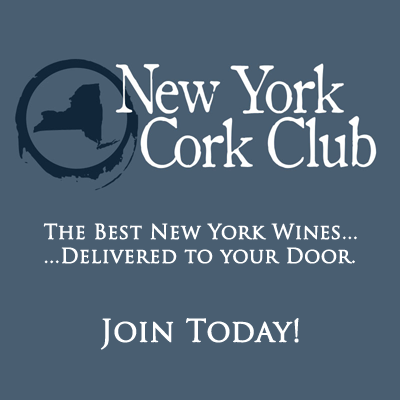 There is an active Lake Champlain Wines group that pre-exists the Willsboro trial, some of whose members participate in Willsboro work days, and has continued to evolve from an amateur club, to a professional support group. 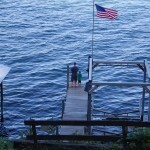 I have regularly met my Vermont neighbors on volunteer days at the plot, as well as folks from the Hudson Valley, the Thousand Islands area, Finger Lakes, other New England states, and Quebec. A number of people, inspired by what they have experienced and learned, have gone on to start plantings of their own; some amateur, and others with professional ambition. Change has been afoot in ‘our’ vineyard as well. Last year’s vineyard technician Josh accepted a full-time vine manager position at Vermont’s East Shore Vineyards in the Champlain Islands. The Willsboro tech position was advertised and has been filled by Lindsay Pashaw, Keeseville, NY native, and loyal volunteer at the plot for the last few years, who has her own family plantings to tend as well. With timing that is only coincident, Kevin Iungerman has entered discussions with the Cooperative Extension to take his retirement sometime after harvest this year. He’s at that certain age where the question has arisen as a normal matter of course, and yet, his concerns for the forward stability of staffing, coverage, and crop focus at the nascent ENYCH Program are apparent. I have always been impressed by Kevin’s strategic thinking with regard to northern agriculture and specialty crops. In this case as well, I understand his decision to transition, create space for, and nurture a successor. Sometimes new shoots need to be brought up for replacement. Meanwhile, Kevin stays very busy and recently completed a pair of “twilight” spray calibration workshops in the upper Hudson Valley, with the expertise of Andrew Landers, helping growers understand the efficiency and economy of spray application by using special lighting at dusk to “highlight” application coverage. Gerry Barnhart of Victory View Vineyards, who hosted one of the sessions, found it extremely informative, and will directly affect how he executes his own spray program. Gerry definitely appreciates what the CCE offers as a resource, and is very interested both personally and as an association representative, in the appropriate replacement for Kevin Iungerman upon his retirement. It’s just the beginning of the transition, but it is clear to me, that those of us that rely on CCE services, need to stay vigilant in these days of tightening budgets, because they are bound to affect how such services are rendered. The CCE is intimately tied to the working folks and their working landscapes, and I’m hopeful that they will maintain their current level of excellence, and be open to feedback from the constituents that they serve. While I have sometimes heard grumblings that the CCE can’t move fast enough to support new areas, or that they have an agenda different from the local growers…they are just that. I’d be interested to hear how others have experienced interactions with the CCE, and what their thoughts are on the impending changes. 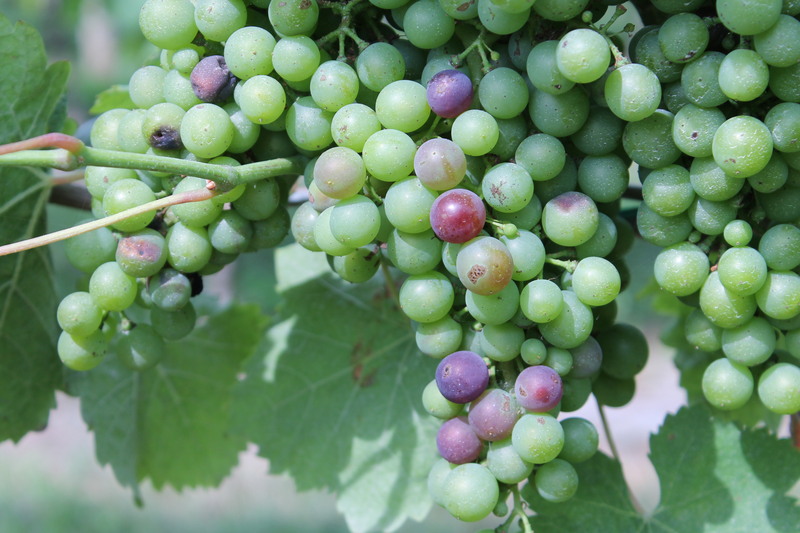 While this piece was being readied for release, I received the latest issue of Kevin Iungerman’s newsletter ( CCE Cold Country Viticulture List_20130714) announcing a July 19 and 20, 2013 Willsboro Working Seminar covering crop management and vine/crop quality. My timing is such that I will likely not arrive in Willsboro until quite late in the day Saturday. Normally I would simply look to the next educational work day, but along with the event announcement and description of the vineyard, I read an ominous highlighted passage, and some following sentences that stung me worse than any harvest wasp. While a replacement will be sought for the impending retirement, it is terribly unclear whether the chosen person will engage in the proposal writing required to keep the project funded. I know I’m not the only person who would like to see the trial continue in some fashion, and believe that there is still much to be learned about training and cropping of these hybrid vines as they age, and what kind of benchmark they might be for shifting vintages. My personal feeling is that it would be an unfortunate waste, were the investment in vineyard infrastructure to be removed. With it would also go the opportunity to engage new participants in the process, and show them how much can be learned in just one acre.